Mr. Rajesh Sckaria has over a 20 years of experience with over 15 years in the field of design and development of embedded systems. Before returning to India, he worked for major consumer electronics companies in Japan for 12 years with a solid track record of making high quality on-time deliveries to clients. A premier embedded system architect capable of delivering high performance and robust solutions. 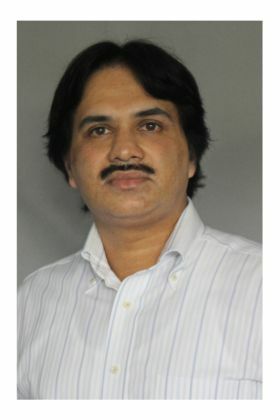 Rajesh pioneered the product development of various solutions across healthcare, Semicon, consumer electronics, networking, automotive infotainment and media and broadcast (Set-Top-Box) industries. Prior to co-founding Alcodex, Rajesh worked as a system architect for an engineering services Offshore Development Center of a San Jose based company. He pioneered the product development of a layer 2 industrial switch and managed and led in-house development of solutions for various clients. During his stint in Tata Elxi, he was the system architect of an ambitious and complex project to develop the next generation GENIVI infotaiment system for a luxury vehicle manufacturer. He has end to end project management capability including, project lifecycle management, client discussion, requirement analysis, proposal preparation, project planning, implementation and maintenance. Copyright © 2013-18 Alcodex Technologies Pvt. Ltd. All Rights Reserved.